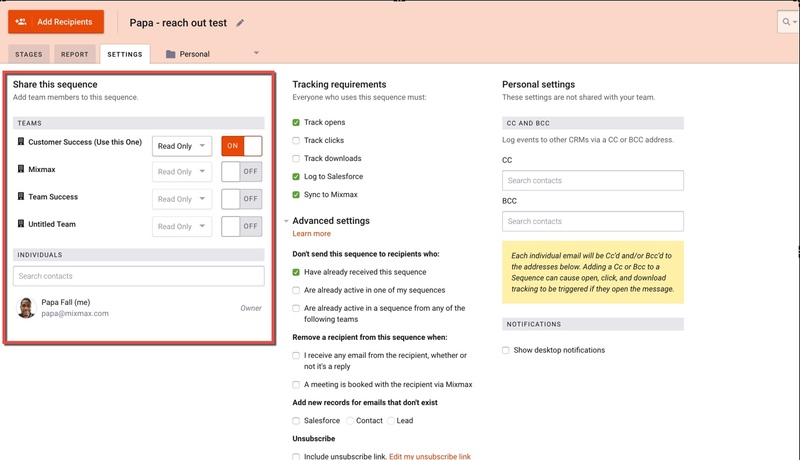 You're already successfully reaching leads, customers and candidates with sequences — now you can share those best practices with your coworkers. When you share sequences, your team’s analytics will be aggregated together, so you can track your team's performance. Shared sequences are available on our Growth and Enterprise plans. 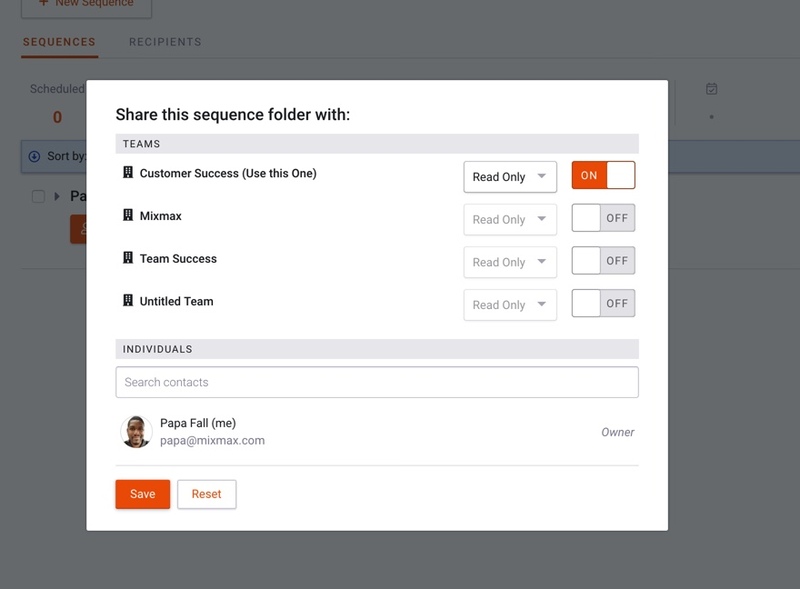 To share a sequence, just add your teammates in the Share & Settings step of new or existing sequences. You can share your sequence with an entire team by clicking the toggle to On in the Teams section of shared settings. Choose the access level for the teams or individuals you share your sequence with. Read Only: allowed to view and use only. Read Write: allowed to edit sequence, including content and settings. When the content and settings are edited, it will apply to everybody who has access to the sequence. If you have a large number of sequences in your team, sharing sequence folders keeps them organized and neat for everyone. Just click Share this folder in the top right of any sequence folder. You can share a folder with Read Only or Read/Write permissions. With Read/Write, anybody can also add new sequences to the folder for sharing. When you share a sequence folder, every sequence within the folder will be shared with Read Only permissions while it remains in that folder.